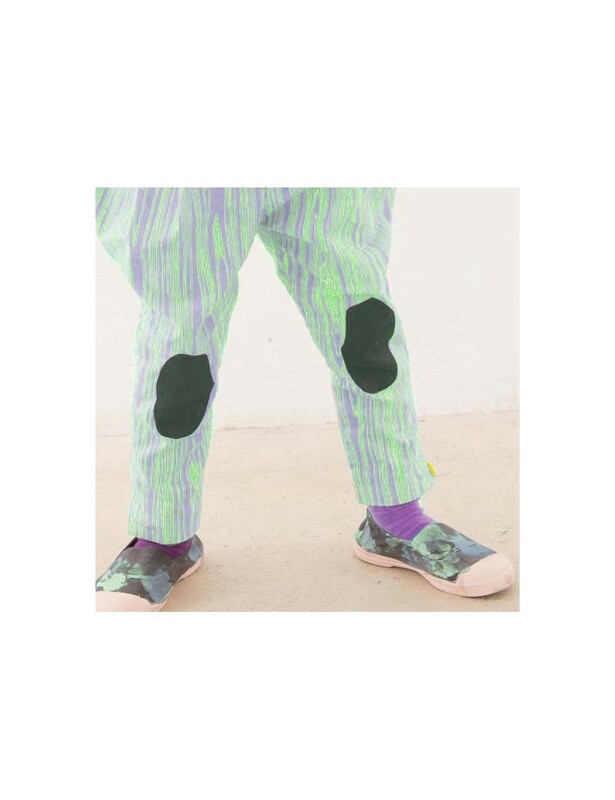 Purple & neon green jodhpur Pants for kids by Franky Grow : the japanese Style Simple & Pop design Kids clothing. This pants is a great multifunctional piece which have a fun purple and green wood grain print. The soft cotton with the texture of the print and the wool mix elasticated ankles making this piece great for play. Elastic waist, side pockets. 100% woven cotton. Made in Japan.